We have a vision: a world in which all producers can enjoy secure and sustainable livelihoods, fulfil their potential and decide on their future. Our mission is to connect disadvantaged producers and consumers, promote fairer trading conditions and empower producers to combat poverty, strengthen their position and take more control over their lives. With Fairtrade you have the power to change the world every day. With simple shopping choices, you can get farmers a better deal. And that means they can make their own decisions, control their futures and lead the dignified life everyone deserves. 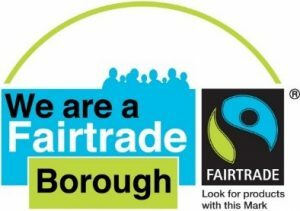 Fareham is a Fairtrade Borough which means we are committed as a community to make a difference! Please pray for the work of The Fairtrade Foundation and all their associated groups and volunteers. Also, pray for the people who keep trade locked into the systems that keep it unbalanced and unfair.